At Homeschooling-curriculum-guide.com we are dedicated to protecting your data and privacy. We recognize that your privacy is important. This document outlines the types of personal information we receive and collect when you use Homeschooling-curriculum-guide.com, as well as some of the steps we take to safeguard information. This will help you make an informed decision about sharing personal information with us. Homeschooling-curriculum-guide.com strives to maintain the highest standards of decency, fairness and integrity in all our operations. Likewise, we are dedicated to protecting our customers' and online visitors' privacy on our website. Homeschooling-curriculum-guide.com collect personally identifiable information from when you visit our site, register on the site, or fill out a form, and in connection with other activities, services, features or resources we make available on our site. ● To send periodic emails, which include electronic newsletters and/or autoresponder series of emails. Specifically, if you subscribe to our newsletter, we will ask for your first name and will require your email address only. If you complete a form, we will require your name and email address and other information relevant to the purpose of the form so we can continue the product order process. Homeschooling-curriculum-guide.com contains links to other websites that may be of interest to you. However, once you have used them to leave our site, we do not have any control over that other website. Therefore, we cannot be responsible for the protection and privacy of any information you provide while visiting such sites. These sites are not governed by this privacy statement. Always exercise caution by reviewing the privacy statement of the website in question before continuing to use it. If we sell Homeschooling-curriculum-guide.com, the information we have obtained from you through your voluntary participation in our site may transfer to the new owner as a part of the sale so that the service provided to you may continue. In that event, you will receive notice through our website of that change in control and practices, and we will make reasonable efforts to ensure that the purchaser honors any opt-out requests you might make. If you wish to review your information stored on the SiteSell servers for Homeschooling-curriculum-guide.com, click on this link https://www.homeschooling-curriculum-guide.com/gdpr-review.html. In the email you receive you will be able to request the editing, downloading or deletion of any of your information from the servers by clicking on the link in the email. I understand that you will use my information to send me To-the-Point newsletter only. 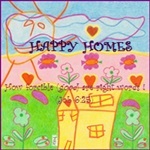 Receive this FREE ebook "HAPPY HOMES" (in Eng) or "GELUKKIGE HUISE" (in Afr) when you subscribe! Dankie Willemien, dat jy met soveel oorgawe leef, en byna refleksief soveel gee, en ook so wyd. I just wanted to say that I went onto your website and I have found that this is "THE" best one that I have seen, we have just started homeschooling and you have helped me a lot!! Thank you so much for all the emails and info and support. I popped over to view your website and was blessed by your heart and depth of content. 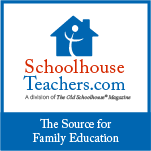 THANK YOU for visiting Homeschooling Curriculum Guide.